RECON was established in 2007 to understand the dynamic and changing conditions in the Caloosahatchee partly caused by extreme freshwater releases from Lake Okeechobee and the Caloosahatchee watershed. The extensive watershed (1,400 square miles) and Lake Okeechobee (4,400 square miles) each contribute water that flows into the Caloosahatchee estuary and the Gulf of Mexico. Large volumes of freshwater runoff can cause lower salinities and have led to degradation of essential fish habitat, such as oysters and seagrass. RECON is used in all ongoing research projects at the Marine Laboratory to better understand the effects of disturbances on marine plants and animals. 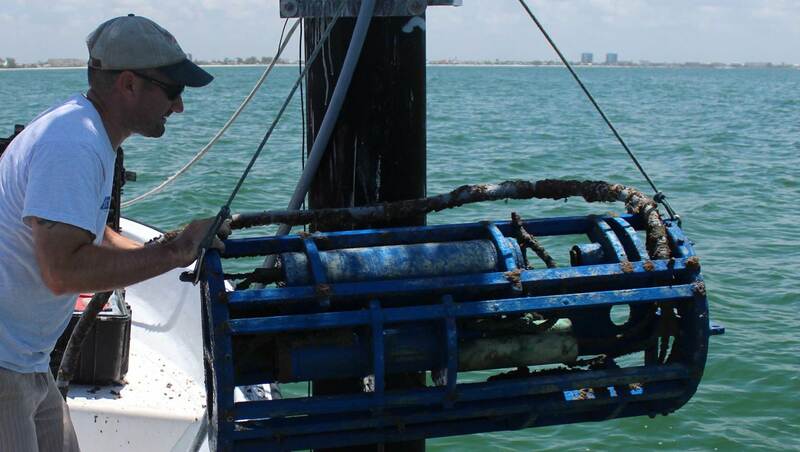 RECON uses state-of-the-art sensors with integrated anti-biofouling systems to maximize deployment time, minimize operational costs and provide high quality data. RECON measures key water quality parameters such as: temperature, salinity, dissolved oxygen, depth, CDOM, chlorophyll a, turbidity. 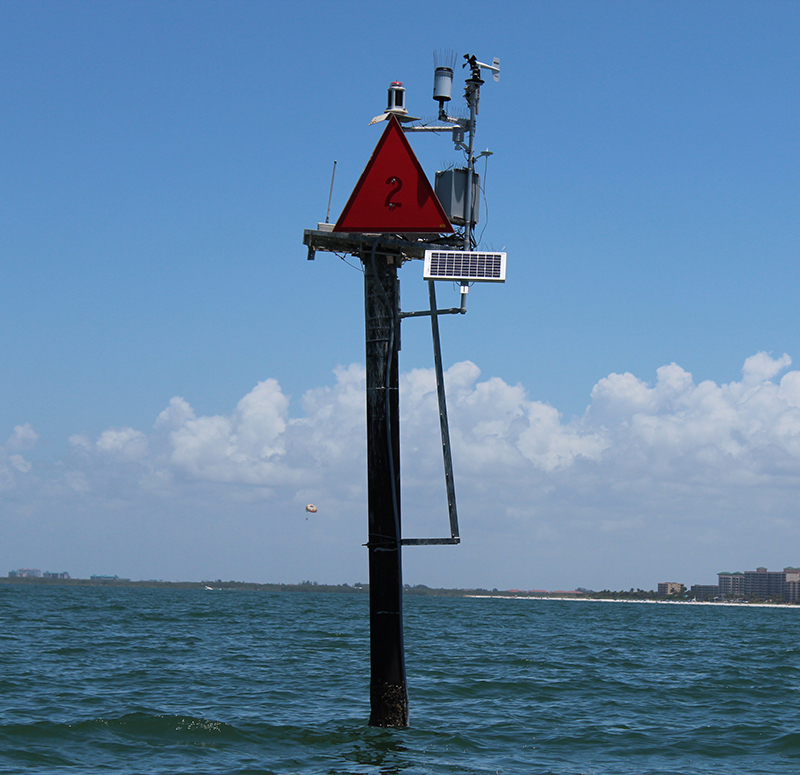 Additionally, several RECON sites are equipped with meteorological sensors which measure wind speed and direction, air temperature, humidity, barometric pressure, and photosynthetically active radiation (PAR). RECON is a real-time data network. The ability to observe an event in near real-time allows our scientific staff to understand events and determine if any actions (such as water sampling around a hotspot or area of concern) are necessary.